Phoenix Color® is the leader in providing distinctive cover components for all markets. With our technologically advanced prepress and press operations as well as an array of finishing applications and innovative special effects, Phoenix Color® is committed to producing memorable, value-added products. Phoenix Color® creates visual impact by printing on plastics such as polyester, vinyl and styrene as well as on metallized finishes, synthetic papers, and other various substrates. 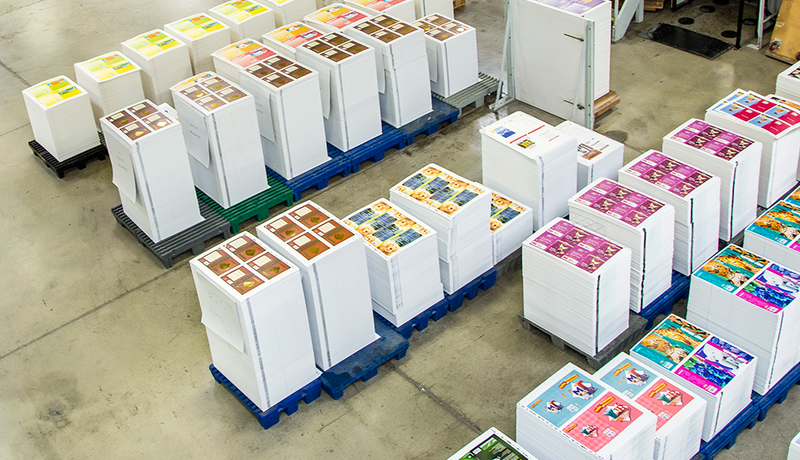 Phoenix Color® produces high-quality, heavily-illustrated and multi-colored Books for all markets. Our Bindery hosts state-of the-art equipment ready to manufacture your award-winning titles and bestsellers. Phoenix Color® is also highly experienced in producing Commercial – Specialty Manufacturing items such as game boards, box wraps, posters, postcards, collectible cards, etc. These Commercial – Specialty Manufacturing items can be enhanced with a combination of our trademarked decorative techniques, giving your product th e competitive edge in today’s demanding marketplace. Phoenix Color® is a premier package decorator with over 30 years of superior print experience. Drawing on a broad spectrum of materials and decorative technologies, Phoenix Color® produces memorable, value-added components that capture the creative essence of your brand. We are focused on serving the needs of the publishing industry and beyond. Working together within our multi-platform manufacturing facility, we seamlessly integrate premium quality, progressive innovation and superior service to our diverse customer base. With the purchase of assets of the Brady Palmer Label Corp Phoenix Color® now produces labels primarily for the Paint Industry. Phoenix Color® has all the capabilities and equipment to provide high-quality labels and quick turn-around times for the Paint Industry.